The possibility for a lower court in any member state to interact directly with the Court of Justice is vital to the uniform interpretation and the effective application of Community law. It is also the instrument that makes of all national courts Community law courts. 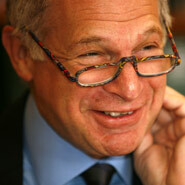 So all member state courts, however humble, can determine matters of EU law, a state of affairs which in Lord Neuberger’s words “has important consequences.” He envisages a future where intermediate courts develop at Member State level, capable of deciding preliminary references and even substantive claims. Such a model – with national Supreme Courts seized of such jurisdiction – would mirror the US Federal Court structure. As a prelude to his discussion about the Human Rights Act debate, Lord Neuberger points up a number of important freedoms that have been built into the common law and the unwritten constitution long before the European Convention was drafted or even thought of. These references are not lightly made: they lead on to an expression of disquiet about the way the Strasbourg Court operates. This is not about Euro-high handedness – so often fastened on to by the press – as the more basic matter of juristic research. The speech contains detailed reference to the drafting history, for example, of the right to fair trial under Article 6. This is not the exclusive domain of academics and historians, and Lord Neuberger defends himself against any charge of “originalism”. But the exercise of determining the meaning of a provision by diligent attention to its history, whether it be in a humble piece of subordinate national legislation, or a lofty agreement between nations, is the very thing that gives the adjudication its authority, because that is where transparency lies. It prevents judges, national or international, finding that words, in Humpty Dumpty terms, mean what they like to think they mean.